Yesterday colleagues from across the University and the Student Union warmly welcomed new students who started in February. Both UG & PG students who started this month, plus some exchange students who are in Surrey for limited periods of time, attended to listen about the opportunities to get involved and be engaged in both academic and student life. Information covered the support services available, plus how and when they can be accessed. The daytime event was followed by a separate evening welcome for new students in accommodation from the Student Life and Wardens teams in Student Support Services. 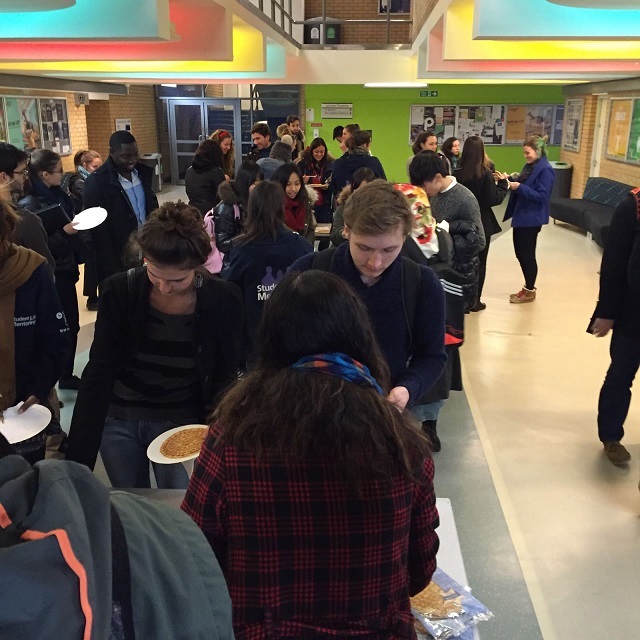 65 new students who are in the University residences enjoying pancakes and networking in the Lecture Theatre Block.